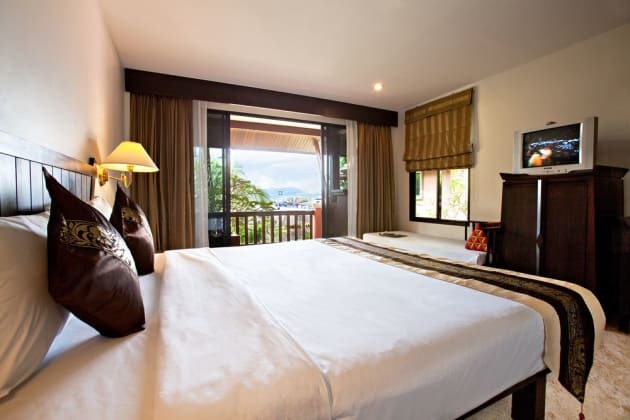 When you stay at Red Sapphire Hotel in Patong, you'll be near the beach, a 4-minute drive from Patong Beach and 5 minutes from Jungceylon Shopping Center. 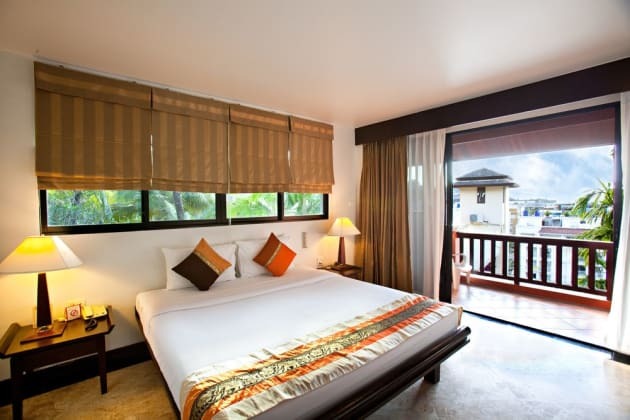 This hotel is 1.5 mi (2.5 km) from Bangla Road and 2.6 mi (4.1 km) from Karon Beach. 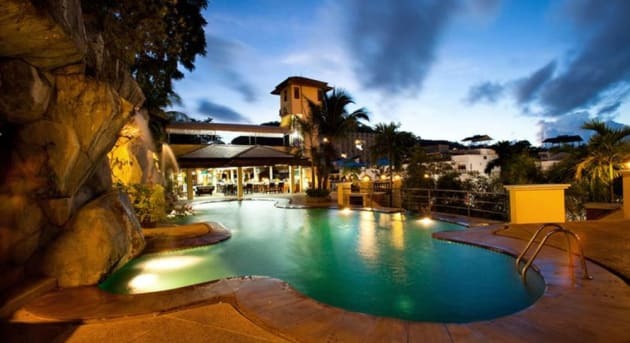 With a stay at P.S Hill Resort in Patong, you'll be within a 10-minute drive of Patong Beach and Karon Beach. 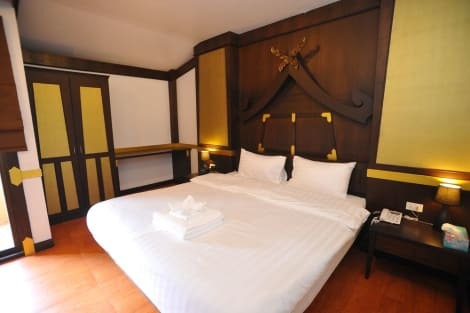 This resort is 1.5 mi (2.4 km) from Jungceylon Shopping Center and 1.6 mi (2.6 km) from Bangla Road. Enjoy international cuisine at Carpe Diem Cafe, a restaurant which features a bar and an ocean view. You can also stay in and take advantage of the room service (during limited hours). Buffet breakfasts are available daily from 6:30 AM to 10 AM for a fee.